As you know, the CES conference in Las Vegas is a place where you can find all types of technology. So far, we’ve seen a 900 pound iPod dock and new headphones from popular rapper Ludacris. Those items are one-off gadgets and don’t give you an idea of what trend is causing the most buzz at the global conference. Samsung spoke about new Smart TVs which include gorgeous, and massive, OLED screens. 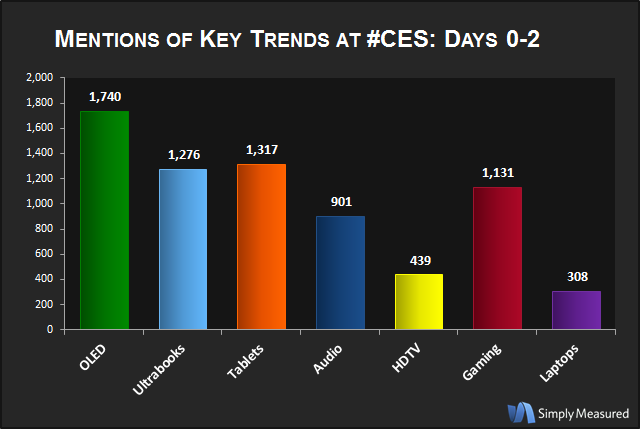 I’ve walked the floor before at CES, and I can attest to the fact that the conference has a new fangled TV at every turn. Worth noting, Tablets are beating out Ultrabooks when it comes to buzz, even though they appear to be neck and neck. 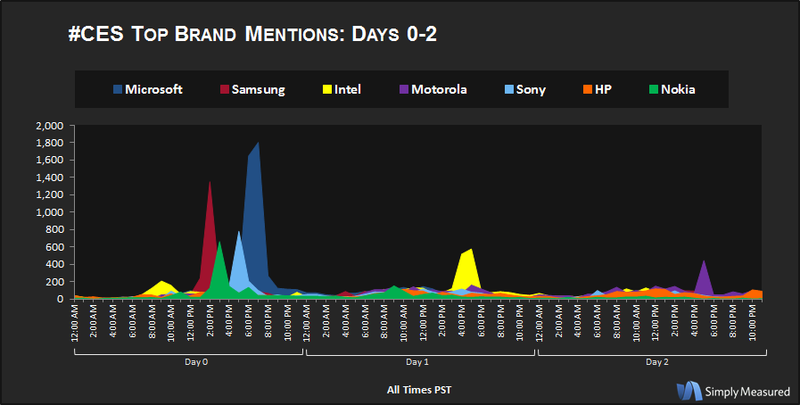 While this data doesn’t give the full story, those tweets mentioning the #CES hashtag definitely give us a pretty good idea of what the chatter on the floor and blogosphere is all about. 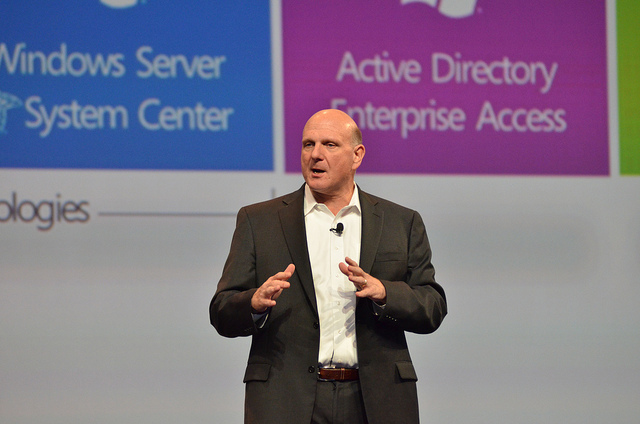 Microsoft had a big day with its last CES keynote ever and the announcement of the Lumia 900’s entrance to the US, which is causing quite a stir. While a lot of what we see at CES is vaporware, meaning it never fully makes it to a mainstream audience, these trends show that people are interested in things they can try and buy right now, rather than things they may never have the chance to get. CES isn’t over yet though, so be sure to read all of our coverage for updates.